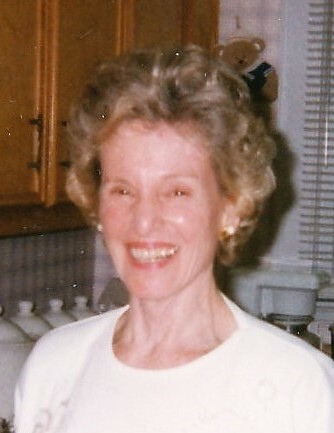 Betty Elmore Edwards, 92, widow of Robert A. Edwards, passed away Tuesday, April 9, 2019 at Shepherd’s Care Assisted Living Center in Greenville. Born in Cleveland County, NC, she was the daughter of the late Ira and Clema Cornwell Elmore and stepmother Della Powell Elmore. Betty was a charter member of Northside United Methodist Church in Greenville. She stayed actively involved in the church, and also participated in community volunteer work, until she was no longer physically able to do so. Her Christian faith was unwavering, and as a homemaker, she enjoyed doting on family and friends her entire life. Devoted wife, mother, “GrandMom”, and friend, Betty is survived by her children, son Don Edwards (Jean), daughter Jeannie Howard (Jerry), and daughter Lynn Harrison (Scott); grandchildren, Kelly Howard, Kristen Howard, Christopher Harrison (Katie), Courtney Higgins (Tony), and Casey Harrison; great grandchildren, Penelope Harrison and Duke Harrison on the way; brother, Jack Elmore; sisters-in-law, Bobbie Elmore and Beryl Elmore; and several cherished nieces and nephews. In addition to her parents and loving husband, she was preceded in death by brothers, William Elmore and Don Elmore; and sister-in-law, Carolyn Elmore. Visitation will be held Sunday, April 14, 2019 from 1:00 p.m. until 1:45 p.m. at Northside United Methodist Church, 435 Summit Drive in Greenville, with the funeral service to follow at 2:00 p.m. Burial will be held in Woodlawn Memorial Park. The family extends their heartfelt gratitude to each and every angel at Shepherd’s Care Assisted Living Center for the constant love shown to Betty. Flowers will be accepted or memorials may be made to Northside United Methodist Church, 435 Summit Dr., Greenville, SC 29609.